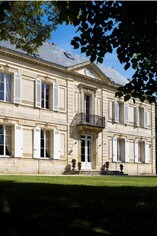 One of the least well-known classed growths of the commune of Margaux, the tiny Château Ferrière's 8 hectares are situated right at the very heart of the village of Margaux. 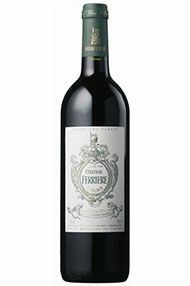 After a spell as the second wines of both Châteaux Prieuré-Lichine and Lascombes, the Château is now standing on its own at last and is under the same ownership as Château Chasse-Spleen. The soil here is classic Margaux with very deep Garonne gravel over Chalk Marl, the perfect soil for Cabernet Sauvignon. It is this superb terroir that led to the Château being awarded 3rd Growth Status in the famous 1855 classification of the Mèdoc. The vineyard is planted with 80% Cabernet Sauvignon, 15% Merlot and 5% Petit Verdot. The wine is aged for sixteen to eighteen months in oak barrels, 60% of the barrels are new each vintage. Fine expression of cassis Cabernet fruit. Has elegance and depth in a straightforward style. Could be more complex but will mature well. The smallest property of all the Cru Classs, this little-known estate has become one of the best kept secrets in the Mdoc. This is partly down to the fact that it was, until very recently, distributed exclusively in France. Much has changed under new owner, Claire Villars. Not least the quality! With its high percentage of Cabernet Sauvignon this is reminiscent of a mini-Ch. Margaux in style. 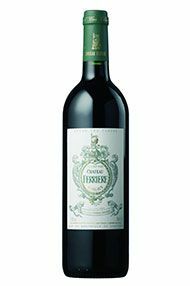 It has excellent concentration and is quite masculine for a Margaux yet polished. 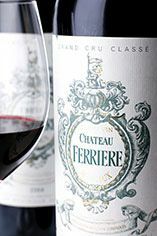 With only 4000 cases made in total this attractive wine is very rare and should offer exceptional value.